We offer easy yet secure accounts receivable services to automate and streamline your clients’ day-to-day business finances and bill management at low-cost. On behalf of your CPA firm, we can invoice clients in their own right time, deliver invoices electronically, & manage concurrent document changes and much more. Our expert bookkeepers work closely with your CPA firm to manage the collection process effectively and increase billings, revenue and margins, reduce conditions for fraud, customize solutions for each of the client, and provide consultation on cash flow in real time. This significantly improves your client’s ability to get paid more quickly and completely, and smoothen the Order-to-Cash cycle. Sales Order Generation to handle your large number of customers, each with a contract with multiple items with different delivery schedules including start date, frequency, day and next delivery date. Invoicing process for automated handling and processing of credit notes, supplier invoices and accounts payable information. Receiving Payments to improve your client’s cash flow and reduce the amount of time spent on processing payments. 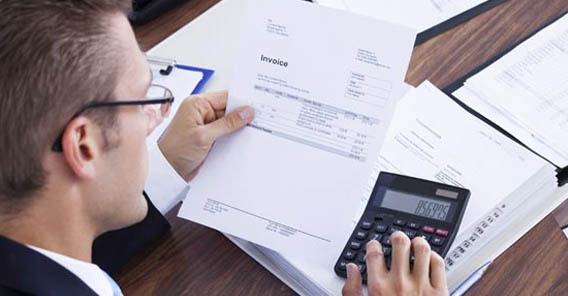 Accounts Receivable Report Generation to help you view each invoice, credit note, overpayment or prepayment for the relevant period, including how long a particular invoice is pending and the amount currently owing to your client. Our accounts receivable services empowers you to effortlessly deal with key finance functions that impact cash flow, and are critical to manage your business. We increase your control on outstanding invoices and extensive reporting on account activity for quicker payments and improved cash flow. We help you and your CPA firm to successfully achieve average invoice submission timelines, average invoice collection timelines & query resolution timelines.